Pet dental health is one of the most important things you can consider to help ensure your pet lives a long and comfortable life. Therefore, we created a video showing all that is involved with a pet dental at Island Vet. Your choice of care is an important one, and we want you to feel comfortable with the care that we provide for your loved one. What about cost? Our prices are below national and provincial averages for our dentals. In fact, our regular prices are about the same as discounted prices that other hospitals/shelters provide. Further, we offer payment plans for existing clients. Considering an awake or no anesthesia dental? Please don’t do it! it is a waste of your money. Yes, the teeth might be white, but they do not get under the gum line and they cannot get those deep pockets where it really matters. We often see pets who have had an awake dental and what we find is always a shock to the owner. Review our video above and our chart below. We welcome your call or visit to answer your questions and discuss all of your options. One to do the anesthetic and one to perform the procedure.  Our licensed Vets and Registered Veterinary Technicians have completed additional training in dentistry and anesthesia and are well-qualified to provide safe and outstanding dental care. Just as in human medicine, this is done before any anesthetic procedure to help detect internal organ issues. The results of these tests allow us to tailor our drug choice for your individual pet. This greatly reduces the risk of any anesthetic. The type of blood work needed will depend on your pet’s age. We will schedule this on a day prior to the scheduled dental cleaning. A complete physical exam on the morning of the procedure is performed to detect any conditions that may complicate the procedure or compromise your pet’s safety. IV fluids help to maintain blood pressure, hydration and proper functioning of the kidneys and liver. An added bonus: IV fluids aid in a faster and smoother recovery. General anesthesia is always necessary for dental procedures. It is done with an inhaled gas anesthetic that puts your pet into a sleep-like state. We monitor your pet’s vital signs the entire time using a blood pressure/heart rate monitor and fine-tune the amount of anesthetic to keep them at just the right “level.” Our anesthetics are administered by either our Veterinarian or a licensed RVT. The heart of the package. Your pet’s teeth will be thoroughly cleaned by manual scaling and using our ultrasonic scaler. We also hand-scale below the gum line (where 60% of dental disease exists), removing harmful plaque and tartar. Each tooth will be polished with a pumice paste to smooth the microscopic etching that occurs during scaling to help slow re-formation of plaque. We will complete a detailed dental chart, noting any abnormalities or areas of concern for your future reference. The instruments we use are sterilized before every procedure. Your pet will not be exposed to oral pathogens from any other patients. You will be given a complete report with findings and recommendations, as well as detailed home care instructions on how to best care for your pets new “pearly whites.” The type of follow-up required will also be discussed.